Want Cheaper Car Hire in Nairobi? Compare lower cost Nairobi Airport Car Rental & MPV, Minivan Hire. Compare cheaper car hire in Nairobi and save on minivan, SUV, MPV and truck rental. Europcar help with discounted prices than their own site, when booking through our website. This is the capital of Kenya, and usually your first point of entry in on you way for a safari in the Masai Mara, or other national park. You may also be on you way to Mombasa, by either train or plane, or road trip. If stopping in Nairobi, then know where you go. 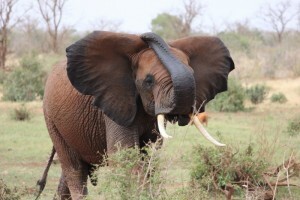 However, you will probably use Nairobi as the start of you safari, where you head off to the Masai Mara. However, you do not actually have to leave the city to go on safari, as their is a game park within the city itself. The Nairobi National park came in to life after the Second World War, but you will need travel further afield to see the Big Five, but rhino is in the park. The city gets it's name from the nearby river of the same name, that translates into "cool water". NBO is the three letter IATA code for the busy airport. The depot is on airport. If you book and then need to change your booking, then there is no amendment fee. cancellations are also free, but check the time limits. All vehicles come with the usual insurance and breakdown coverage included and unlimited mileage.